In the world of computer and Internet, there is nothing safe as you never know when a virus infects your system despite having the best security systems installed, and you lose everything. That is the reason having a backup plan and data recovery solution handy are the need of the moment. When we talk about data recovery, EaseUs is a pioneer in the business. In this blog post, we are going to talk about EaseUS Data Recovery Wizard. EaseUS Data Recovery Software is one of the most trusted software which allows users to recover their lost files in just a few minutes. EaseUS is known for their data recovery wizard for a long time and they earned their name by giving a wonderful experience to their users. Be it the functionality of this tool or the user experience, EaseUS scores a 100 in every aspect of the software. EaseUS has been around for 13 years now and it is a long time to be in that business with constant success. This does speak for their amazing track record, doesn’t it? Obviously, EaseUS changed with time and this time around, they have launched the 11.6 Version of their software. 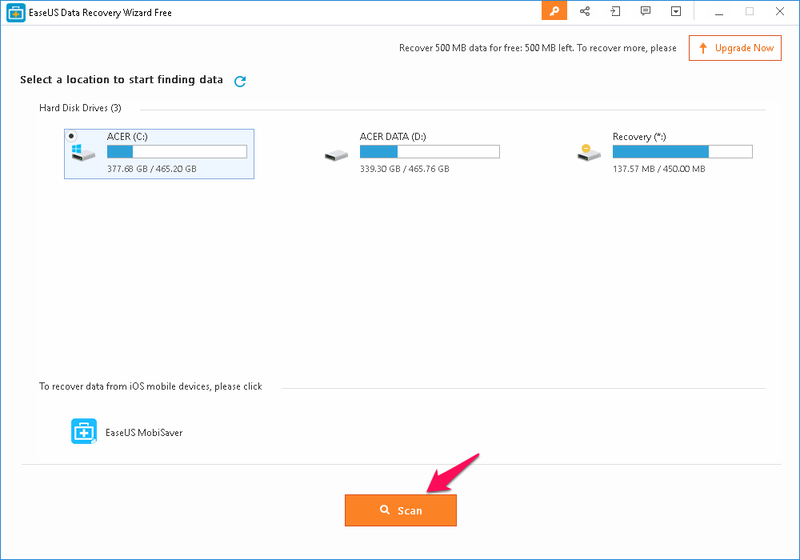 Let’s have a look at what you can do using the EaseUS Data Recovery Wizard. This is one of the best features of EaseUS Data Recovery Wizard. User interface is one of the most critical parts of a software or a gadget. For example, Google phones have a Stock Android user interface which not only makes it snappy but also easy to use so that everyone can understand it. Similarly, EaseUS also has the same sort of user interface which can be understood by the masses. The moment you launch the application, you will be welcomed by the screen which will show you details about your storage spaces (C, D or more drives if any). You can easily click on either drive to proceed, or you can also click on the Scan button in order to perform a full computer scan. One of the things that users love about EaseUS Data Recovery Wizard that it allows them to recover any file type which is lost. So, it doesn’t matter if you are a musician or a banker, EaseUS can recover your music or videos to your classified documents. EaseUS offers recovery of documents like presentations, word files; excel sheets, PDF’s and many more along with audio, video, graphics, emails and much more. EaseUS really makes Hard Drive Recovery as easy as snapping two fingers together. EaseUS is not only limited to recovering files from your hard drives, but it can even recover files from external storage devices such as flash drives, HDD’s, SSD’s, smartphones or even servers! What this actually means is that EaseUS can recover files from any storage device which you might be using. This feature was added in the latest release of the software version 11.6. This allows users to preview files like ppt, pptx and PDF files before recovering them. This is a great tool as you don’t have to worry about recovering the wrong file anymore. There are possibilities that EaseUS might not be able to cater the needs of one specific niche, and that is why EaseUS also allows you to add on specific plug-ins which will just increase its productivity as you will be able to do more and more using those plug ins. It doesn’t matter if you are using a Windows operating system or MAC; EaseUS is available for both the systems. Amazingly, EaseUS Data Recovery Wizard is also available iOS and Android as well, which means you can not only recover files from your laptop or PC but also your smartphones. You will be glad to know that EaseUS Data Recovery Wizard can be used for free and you can also upgrade to enjoy its licensed version. In the free version, EaseUS allows you to recover files of up to 2 GB which is not less considering your major recovery is in documents which hardly take any space. If you are looking forward to buying a licensed version then right now is the best time to do so. EaseUS is celebrating its 13th anniversary in which they are offering their licensed version at a huge discount. The PRO version allows you to recover an unlimited number of files and also allows you to upgrade it to future releases. Users will also get free technical support as well. As the name suggests, this particular version also allows users to access it on WinPE systems and allows them to recover data from there. Another addition to this license type is that it allows you to recover files even if your system crashed. Sadly, there is no discount on the Technician version of the EaseUS Data Recovery Wizard. 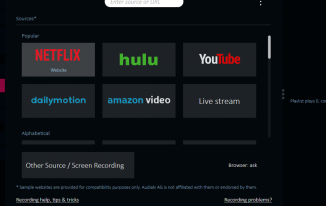 This comes loaded with all the features but also allows users to offer technical services to your clients which mean you can even earn money using this particular license. Looking at the price and the benefits, what is stopping you to have it with you so that you can use it when you have hard times recovering your lost data. Share your thoughts about this software. I have used this software to recover valuable data on my Android device, Its look like very advanced software, Liked it!!! EaseUS is undoubtedly one of the top data recovery tools a business can ever get. 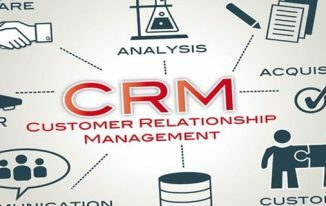 its advanced features and flexibility is helping many organizations to recover their lost data. 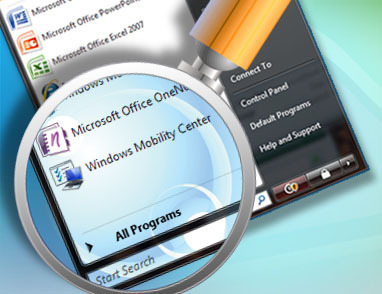 Moreover, its multi devise support is the most promising feature making it a preference among its competitors. In this regard, a startup from California called Druva have emerged recently. The company is providing firm solutions for data protection and security. 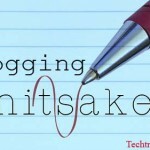 Don’t Make These Blogging Mistakes!